There is a new Surface product in town from Microsoft titled as the Microsoft Surface Studio. It’s not a new tablet or tablet laptop hybrid from Microsoft but a new all in one PC. However, judging from the price, this is definitely not designed for everyone. This all-in-one PC includes touch screen which is not something we have seen in the iMac. 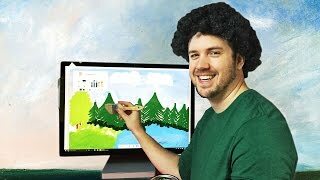 To learn more about these differences including the Surface Studio Saudi Arabia price and specs, keep reading. 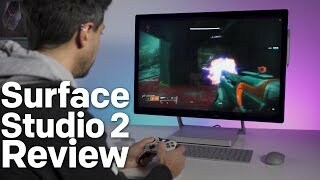 As an all-in-one PC, the Surface Studio features a big 28-inch display which is packed in “world’s thinnest LCD monitor” according to Microsoft. It will be showing 4500 x 3000 resolution and slightly weird 3:2 aspect ratio which can be a problem for some video editors. There is a 5.0-megapixel camera included which supports capturing 1080p HD videos. The physicals buttons only includes power and volume but users will also get the Surface Pen included with Surface Mouse and Surface Keyboard. For a better audio experience the all-in-one PC includes stereo 2.1 speakers, a 3.5mm headset jack and dual microphones. 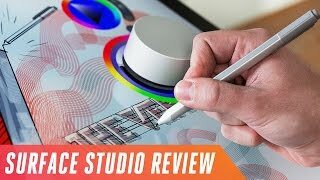 As it’s designed for creative people and artists in mind, there is a unique tool called Surface Dial that gives users more control over their creation. There are three different versions of the Surface Studio to choose from and these versions will be packing either the 6th generation quad-core Intel Core i5 or i7 processor. These processors are paired with either the NVIDIA GeForce GTX 965M 2GB GPU GDDR5 memory or the NVIDIA GeForce GTX 980M 4GB GPU GDDR5 memory. There are multiple storage options as well: 1TB HDD with 64GB SSD or 128GB SSD and 2TB HDD with 128GB SSD. All the connectivity options are included including Wi-Fi, Bluetooth and built-in Xbox wireless. 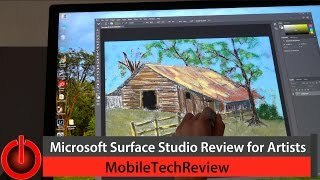 If you are after portability and looking for a cheaper option compared to the Microsoft Surface Studio Saudi Arabia price or don’t want to wait for the Microsoft Surface Studio release date Saudi Arabia, there is the Microsoft Surface Book and Microsoft Surface Pro 4. 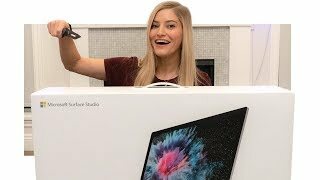 To make sure the Surface Studio can be placed anywhere easily, it’s built with a small footprint and the adjustable hinge allows you to use it in both Studio mode and Desktop mode. The touch display gets easier to control with the new Surface Dial tool that will show various tools by just holding it to display. 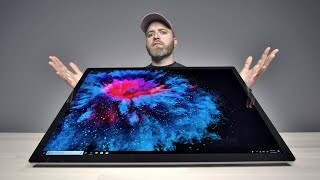 If you are not willing to wait for the Microsoft Surface Studio release date Saudi Arabia or don’t want to buy an iMac, there is the Lenovo C470 or Dell Inspiron i3048 you can try. This is where things get quite disappointing, the price tag. The starting price of this all in one PC will be around SAR 12200 and the specs inside this one won’t be very impressive. 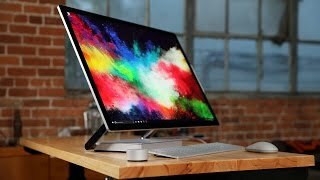 The Microsoft Surface Studio release date Saudi Arabia is not expected anytime soon as it will be released in limited numbers in December, 2016 and then start shipping in early 2017. The eos 80d lens kit - 24.2 mp, slr camera, 18 - 135mm is usm, black Digital Camera is manufactured by Canon and was added around May 2017 and is part of the Canon EOS 80D series. This version of the Digital Camera comes in Color : Black , Image Resolution : 24 MP , Focal Length : 18-135 mm , Display Size : 3 Inch , Special Features : Image Stabilizer , Special Features : Telephoto Lense , Special Features : View Finder. Price has decreased 15% from SAR 19686 on 2018-10-28 to SAR 16666 today.